RUDU Goes to CUNY: Sean Leonard Takes the Entire Tournament! Last weekend, members of the Rutgers University Debate Team took time out of their winter break to compete at City University of New York. Debating at the tournament were Sean Leonard ’16, Pasha Temkin ’18, and Max Albert ’19. RUDU alumnus, George Alukal ’15, also came to support the team. Leonard ’16 won the entire tournament by winning first place as Varsity Team with Eric Tannenbaum from TCNJ and getting first-place for Varsity Speaker! He continues to make Rutgers proud with his achievements. Temkin ’18 and Albert ’19 also conquered the novice division by placing as the third best Novice Team! Individually, they were ranked 6th Novice Speaker and 7th Novice Speaker, respectively. Congratulations to all of the debaters! 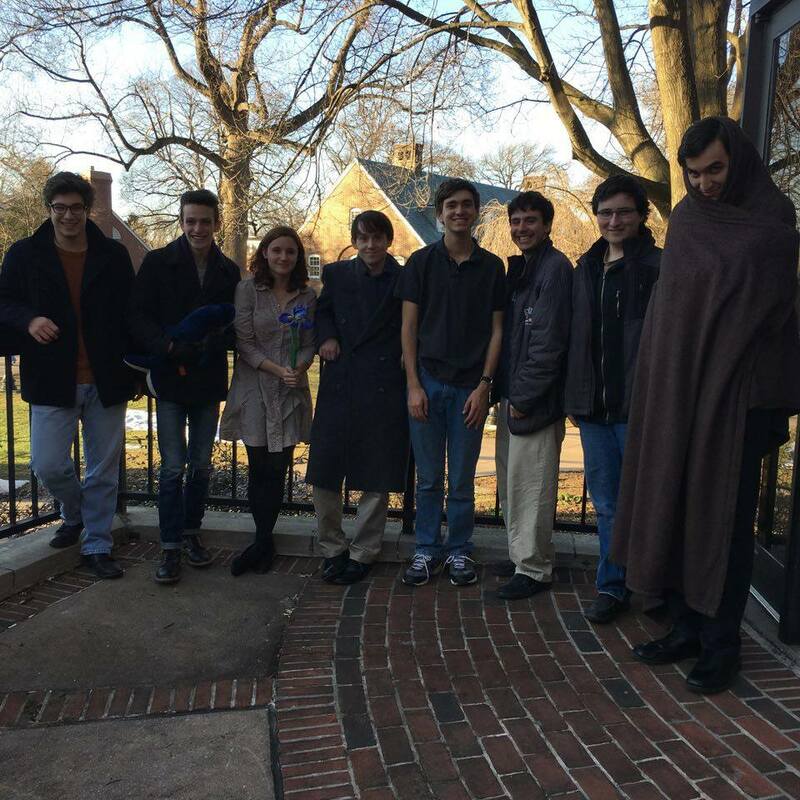 Next weekend, the team will be going to Carnegie Mellon University in Pittsburgh, PA.
RUDU in Finals at Maryland! This past weekend, the Rutgers debate team had a great time competing at the beautiful University of Maryland. Debating at the tournament were Sean Leonard ’16, Pasha Temkin ’18 and Max Albert ’19, Mohammad Arif ’19, and Adarsh Rangan ’19. The team also sent two judges, Jamie DiVito ’16 and Elise Zhou ’18. Every RUDU team that attended the tournament made it to out rounds, as Arif ’19 and Rangan ’19 broke to novice out rounds while Temkin ’18 and Albert ’19 broke to varsity out rounds despite being novices. Arif ’19 and Rangan ’19 made it to novice finals while Leonard ’16 went on to compete in the final varsity round of the tournament. Individually, Leonard ’16 was third varsity speaker, Temkin ’18 was second novice speaker, and Albert ’19 was fifth novice speaker. Congratulations to all of the debaters! This weekend, the team goes into NYC to compete at Fordham University. RUDU Goes to Harvard; Temkin Wins Top Novice! This past weekend, RUDU visited Harvard University in Boston and competed at a motions tournament. At a motions tournament, all of the topics are chosen by the host school before the start of each debate and everyone competing at the tournament debates the same resolution. Team preparation is not allowed and each round allots 15 minutes of preparation time for the teams to gather their best arguments. Representing Rutgers Debate were varsity Sean Leonard ’16, Vidhaath Sripathi ’17, and novices Mohammad Arif ’18 and Mahaksh Kotdawala ’18, and Pasha Temkin ’18 and Max Albert ’19. Temkin ’18 and Albert ’19 broke into novice out rounds and finished the tournament as top and third novice speaker respectively. Following this success, Temkin ’18 is currently top Novice of the Year and Albert ’19 is second Novice of the Year. Congratulations to all participating debaters! Next week, RUDU will be debating at the University of Pennsylvania in Philadelphia.